Kendra Murray Lucas & David Lucas of Nashville Rueda, Danny & Charlene Baye of Dance World, Francisco Nacion, Nicole Antoinette & Odie Joseph of Music City Dance Alliance, Alain Fokam & Carolyn Speegle-Merryman of Kizomba Nashville, Music City Salsa and Tango's Tonya Miller, Play Dance Bar and more! 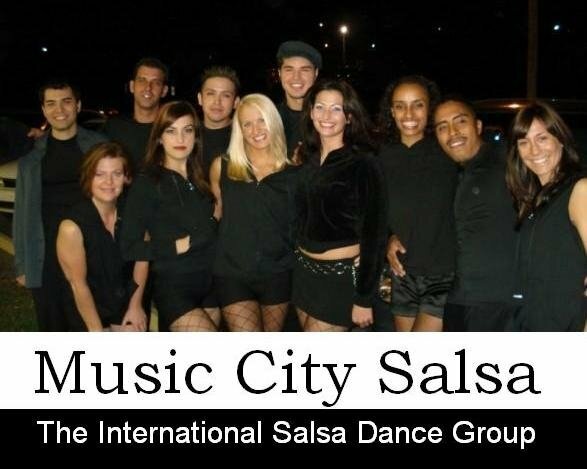 Welcome to Music City Salsa's 4th Annual dance contest! Each Thursday, contestants learn a 1-minute choreography taught by Nashville's TOP instructors! On Wednesdays, contestants perform and compete at Play Dance Bar at 8:30 pm. Six judges are randomly assigned to score contestants both individually and as teams. Contestants also receive points for sharing their success on Facebook and YouTube. Nashville's Top Performer is 6 weeks of 6 different dances taught by 6 different teachers & choreographers. Contestants are randomly and selectively assigned a different partner each week. Weekly costs are $15 for a total of $90. Thursday practices are held at Dance World's Junior Ballroom from 8:00pm to 9:30pm. Optional Saturday practices are held at Tonya's house from 1:00pm to 3:00pm. Contestants perform on Wednesdays at 8:30pm at Play Dance Bar in front of six judges and their peers. Performance videos are posted on Facebook and emailed to the contestants. 2014 All rights reserved by Tonya Miller.